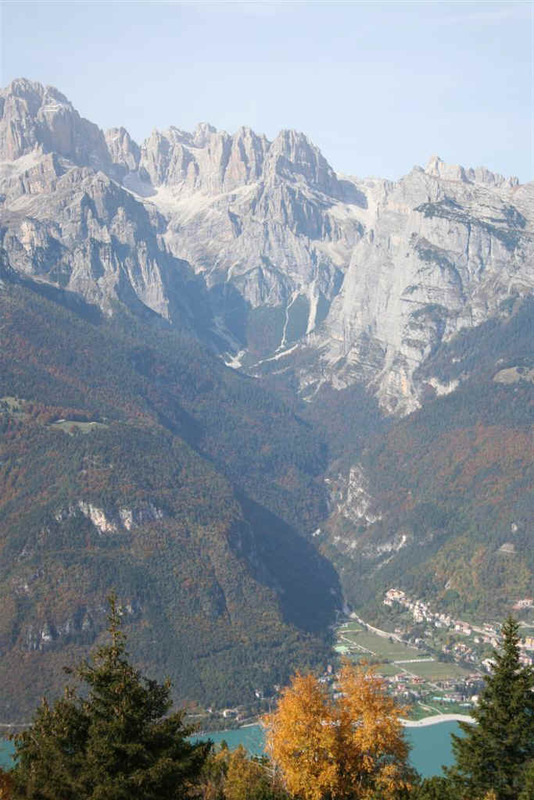 Brenta Dolomites - The access valleys and paths. 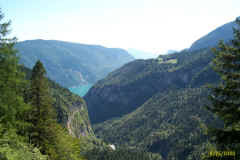 Val delle Seghe, path 319. This is the main access valley to the central chain of the Brenta Group from the south-east and the Rio Massodi river flows through it, at times underground. The “Valle delle Seghe” or “Valley of Sawmills” takes its name from the numerous old sawmills that were once the main source of income for Molveno in the Middle Ages. 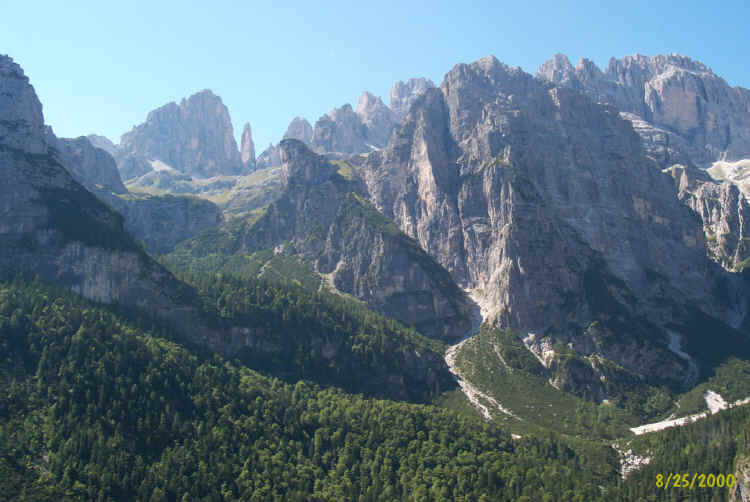 From Lake Molveno until it forks into the Massodi and Perse Valleys, the valley is bounded to the west by the slopes of Monte Daino and the Croz dei Casinati peak, while in the north-east the sheer western rock face of the Croz Altissimo dominates the entire valley. To the north the imposing chain of the Cima Brenta and Sfulmini mountains give the Seghe Valley an enviable edge in terms of wonderful views. Path 319 climbs up from Molveno as far as the “Tabele” or Busa del Formai hollow: here it divides into two branches. The first, to the left, keeps the number 319 and goes up towards the Selvata Refuge; the second becomes no. 322 and goes to the Croz Altissimo Refuge and then turns right towards the Perse Valley. From the Croz Altissimo Refuge comes path 340 which to the east goes to the Pradel tableland and to the west goes to the Selvata Refuge, joining path 319 which climbs up to the Pedrotti Refuge. 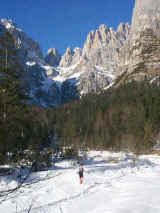 From the Selvata Refuge it is possible to get to not just the Pedrotti Refuge but also the Malga Andalo Refuge along path 332 (in part equipped with fixed rope supports). 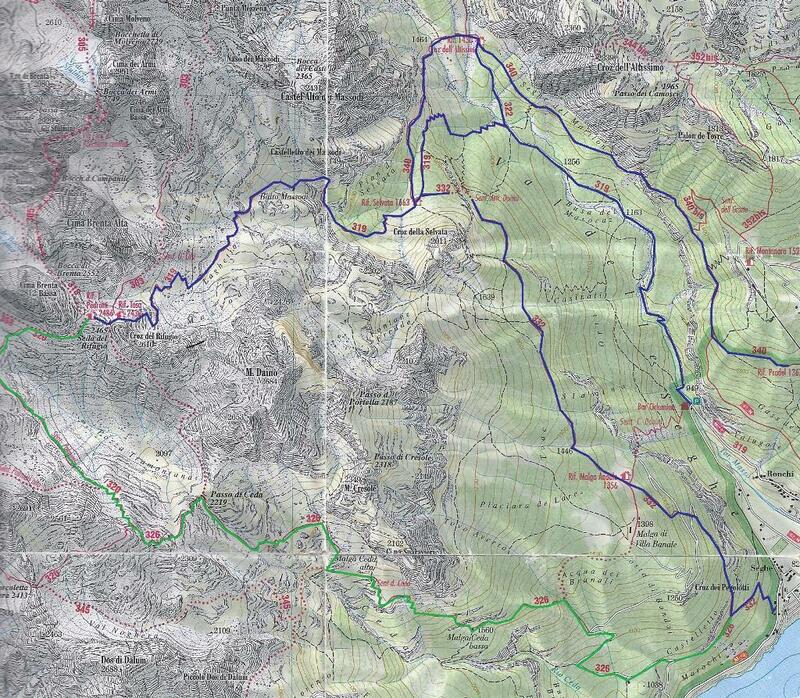 main itineraries a) path 319 to Selvata and Pedrotti refuges. 4½ hours. Difference in height: 1,611 m.